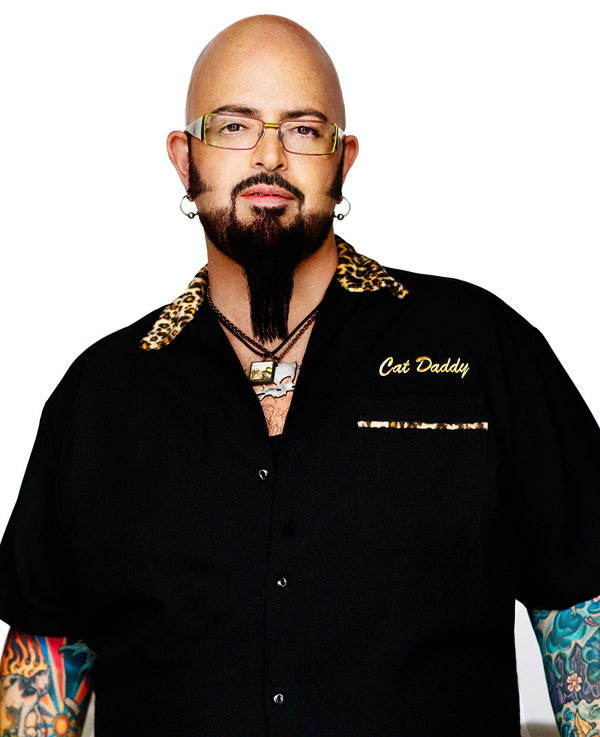 Jackson Galaxy- Cat Daddy Guest Speaker at Cat Network Gala ~ Pawsitively Humane, Inc. There are cat people, cat owners, cat supporters, crazy cat ladies and then there is cat daddy, Jackson Galaxy, better known as the cat guy from the popular Animal Planet TV series, "My Cat from Hell". True cat lovers know this name or have seen his show. Jackson was the guest speaker to top off a very special event--the 20th anniversary of the Cat Network. Christine Michaels, Founder and President of Pawsitively Humane, Inc. and Riverfront Cats is a member of the Cat Network and volunteer. 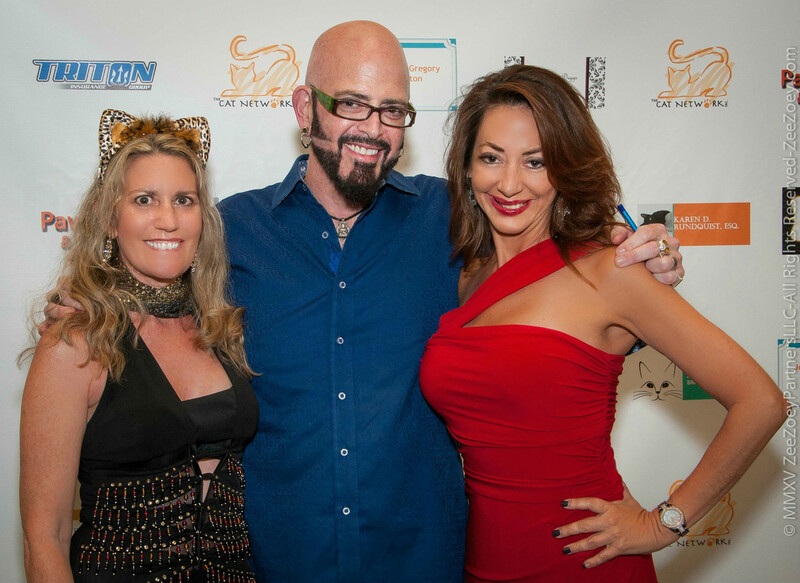 Michaels along with Deborah Barnes, author and award-winning blogger of Zee& Zoey’s Cat Chronicles and Pawsitively Humane board member, attended the 20 year anniversary/fundraising gala for the Cat Network of Miami on Saturday, October 17. Everyone waited in anticipation for Jackson's presentation. For rescuers in the audience, it was more meaningful. He spoke their language. We all speak a little known wordly language. We speak "cat"! Whether it's terms like TNRM, mojo, or reading a cat's body language to better communicate with them, it was uplifting that one of our own, had made it to national television. His overall message was like a thumbs up, an indirect acknowledgment to the mission of Pawsitively Humane and Riverfront Cats that we need to educate people, dog people, proclaimed non-cat people, that cats are not aloof, distant creatures...but wanting of playtime and attention like dogs..." That is exactly what we do! It doesn't matter how many cats or dogs we rescue and find homes for. Until we educate the masses and get them involved, we will never reverse the rate of homeless pets. Education is key! For Michaels and Barnes, both proponents of TNRM (Trap, Neuter, Return, Manage) as a humane means to successfully reduce cat overpopulation, the event was also an opportunity to interact with like-minded people and to help raise funding and awareness to further the Cat Network’s efforts in unison with other organizations and resident volunteers to educate the public about the need to sterilize their pets and community cats. The semi-formal event had several hundred guests in attendance and was held at the Robert and Judi Prokop Newman Alumni Center at the University of Miami. 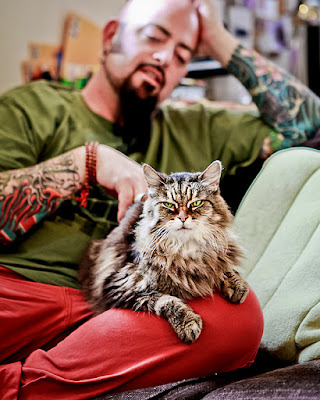 There was a silent auction for fundraising, showcasing art, travel, literature, custom designed cat collectibles, and of course best-selling author of Catification and Cat Daddy, Jackson Galaxy. Prior to Jackson being introduced to the crowd by the event’s Mistress of Ceremonies, Bonnie Berman, Co-Host/Producer of Topical Currents on 91.3 WLRN Public Radio, Cat Network President, Karen Rundquist, gave a moving tribute of the Cat Network’s growth since its inception in 1995 when the organization was initiated by a handful of women to its current status of over 2,500 volunteer and donor members. She also told guests that the Cat Network is working diligently to make South Florida a No-Kill community and that they have trapped and sterilized over 51,000 stray and abandoned cats and have adopted out over 7,000 cats since 1995. Remarkable! 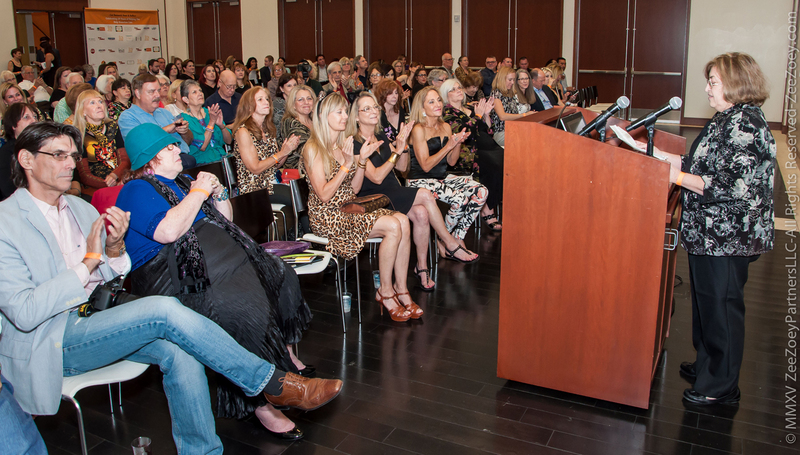 When Jackson made his way to the podium, he gave a rousing and inspirational speech to audience members about what they personally could do to help get more people accepting of cats as good pets so that more of them are adopted and less of them are in shelters. 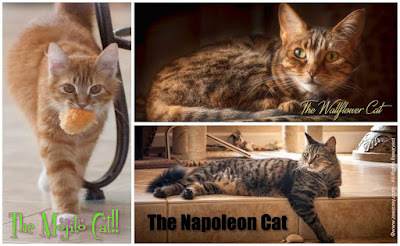 His solution – by providing the best "mojo" possible for them so they can live in an environment that lets them establish territorial ownership along with their pre-wired disposition to hunt, catch, kill, and eat (mojo is defined as walking through the world in the minds-eye of a cat and learning what it is that motivates them). If those things aren't in place, especially the ownership aspect, Jackson stated, that “bad things” could happen. He put cats into three categories, and for him, every cat needs to be a Mojito cat. A Mojito cat is defined as the one that has swagger - a cat that walks boldly into a room with her tail held high with a slight question mark hook to it. She is a happy cat who is confident in her surroundings. The Napoleon or gangster cat is insecure. He needs to prove something and will puff his chest out a bit in an offensive, aggressive posture. He might lie down across the doorway of a house to make sure you have to step over him and he might pee on things because he doesn’t trust his ownership of the territory. Lastly is the Wallflower cat. She is the one that politely hopes you won’t notice her as she sneaks by to use the litter box. She stays close to the wall as she walks, and you never see her in the center of the room because she doesn’t think she is the owner of the territory, nor does she want trouble with whoever is. In order to achieve Mojito status, he shared that a cat needs a variety of key ingredients – toys to mimic hunt and play behaviors, lots of vertical space for them to claim as territory, proper diet, veterinary care, and spay/neuter to help keep the personalities and health in check. When all those boxes are checked off, the cat becomes confident of the territory they live in. These are the kinds of cats that break the misleading stereotypes that cats are too independent and aloof to make good pets and they are also the kind of cats that are NOT brought to shelters for behavioral problems. It was a lovely evening with vegeterian hors'doevres, wine, sparkling flavored water, and classical music. Soothing, contemplative, enjoyable. For cat supporters, our mission is clear--keep on educating those around you. Here's to the Cat Network for 20 great years and to 20 more!